Hello! 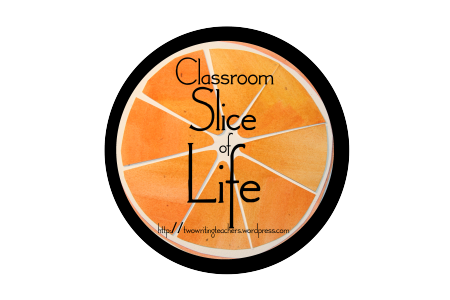 Today is day 3 of the Classroom Slice of Life Story Challenge. My student bloggers are sharing their slices with Two Writing Teachers and students from all around the world. We hope you enjoy our stories and please, leave some love in the form of comments for the kiddos! Tiger Bloggers: It's going to be so important to use your idea notebooks this month!